It&apos;s been a decade since Nike first brought the worlds of skate and hoops together with the original P-Rod "J-Rod" release, and it looks like the brand has something special planned for the occasion. 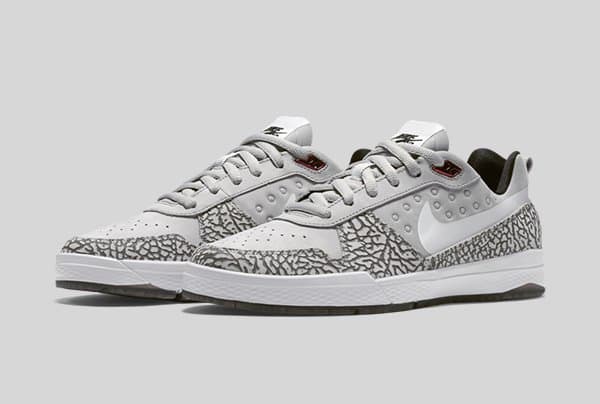 Previewed on Nikestore Europe&apos;s Twitter account is an Air Jordan-inspired take on the SB P-Rod Elite 9. At first glance, this makeup bears a striking resemblance to its 2005 "J-Rod" counterpart, and it&apos;s pretty cool to see the level of detail that Nike used here. 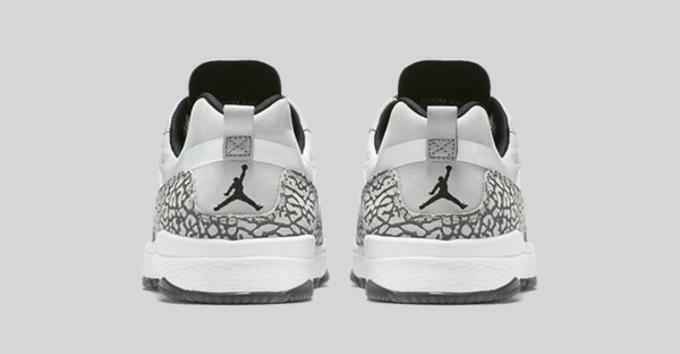 Not only is the sneaker wrapped in cement grey elephant print, but the side panels feature the same Air Jordan XIII-esque dimples, and the heel is once again finished off with the iconic Jumpman logo. It&apos;ll be interesting to see if this concept gets revisited again on future P-Rod models, or if this was simply a one-off for the 10 year anniversary of the first pair. Either way, these "J-Rod" P-Rod Elite 9s are set to drop this Saturday, December 12 overseas, and a U.S. release will likely follow in the coming weeks.